I’ve been following the acquisition of Nest by Google with a lot of interest and while there have been a lot of articles about the acquisition I think even the best tech blogs have missed a number of key points about this deal. Google Ventures is one of Nest’s major investors. The full details and specifics of Google Venture’s investment into Nest are not public but it has been noted that Google Ventures led two of the rounds of funding for Nest. As a result they are, most likely, a major shareholder and thus when this transaction closes a significant portion of the proceeds is likely heading to Google Ventures from Google (corporate). Google Ventures is run like a fund so this likely means a good return on that investment – but it is also likely the case that this fact helped Google be able to offer more for Nest than many other parties would have been able to (either for an acquisition or for another large round of funding. The takeaway shouldn’t be that “home automation is hot”. Whether or not a given “sector” technology investing is “hot” is always a matter of debate, but it should be noted that while Nest is in the home automation space it isn’t only or even solely in that space, nor does that positioning really reflect what Google is likely trying to accomplish via acquiring Nest. 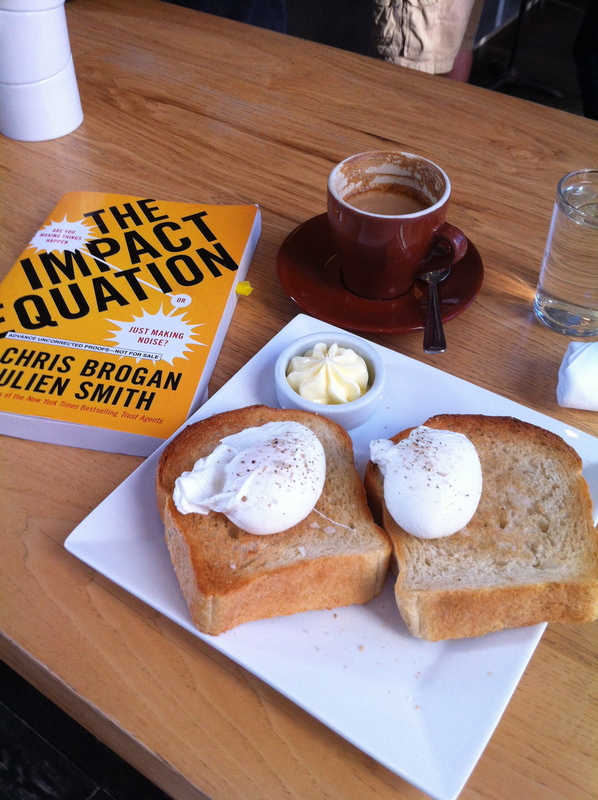 Rather I would highlight Nest as being a successful example of a couple of key business trends. 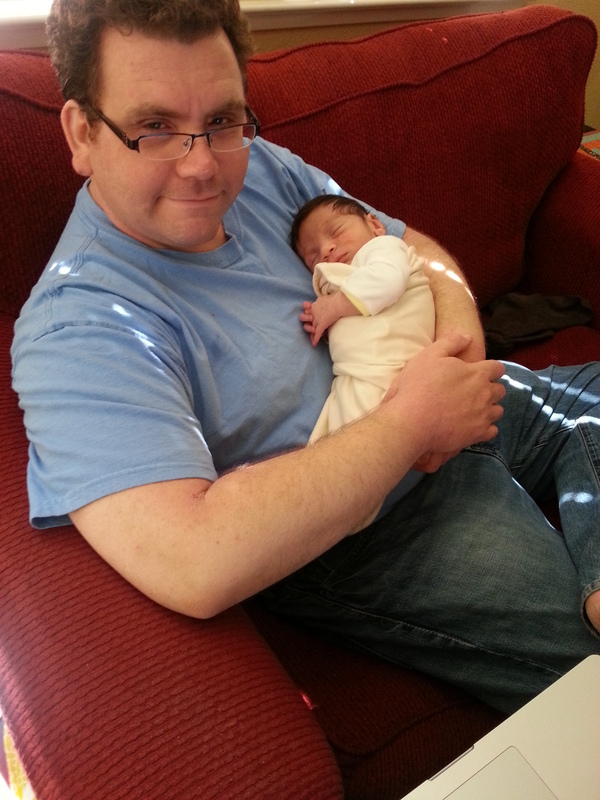 A photo of myself and my son Avi just days after getting home from the hospital. Much more to come and yes baby photos may show up here on this blog as well as on my personal feeds in social media. Since Avi’s birth I have been thinking a lot about the world that he is growing up in – and our role in creating that world for him and for everyone. I have long talked about the failure of our media (games, films, tv and books) to actually deal with technology as it is today let alone how it will be in the future. We are at a point in the history of innovation where changes have started happening faster than our imaginations can grasp. What is fictional and what is real is not at all intuitive or easy to remember – and what was “true” even just months ago may no longer be the case. But and this is a huge but – this very failure of our collective imaginations are being used to drive business and political decisions as well as countless personal decisions every single day. And the impact of this disconnect is growing every day. 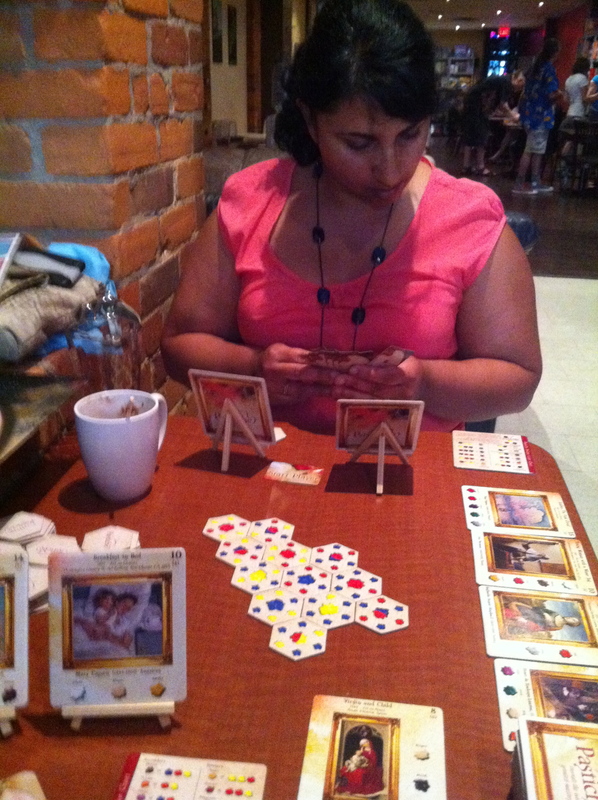 My wife Usha and I playing games at Snakes and Lattes in Toronto on a recent trip. Clearly this is a list that is long and might differ by your particular interests but I was thinking this evening about the things that every geek household should contain (and realizing that my own household may be missing quite a few things…). What additions would you have to my list below? A shelf full of old and new boardgames – likely a lot of modern Euro games but also some classic “Ameritrash” games as well as childhood favorites (Stratego, some version of Risk, etc). Note that Monopoly, Sorry, Candyland etc aren’t required but probably Scrabble is. What other games would you say every home should own? Wide selection of pens, markets, sharpies, crayons and more – basically most geeks could in some manner do double duty as a 2nd grade teacher – but they use their craft tools to draw out game boards or outline craft projects. A set of tools to take apart computers and other gadgets (i.e. more than just a single basic screwdriver). Many geeks will also have a wide array of tools – power or mechanical likely including a soldering iron, a box full of electronics parts, lots of power strips, batteries and power supplies etc. At least one digital camera other than on your smartphones (which perhaps goes without saying nearly every member of the household – at least all the adults and older children each already own). Mostly for being able to shoot video and higher quality images than you can with your phone but many geeks will also own a DSLR camera for more “serious” photography/videos. Perhaps many “real” geeks will also have microphones. What else would you expect to find in a geek household? I’m open to suggestions from many different definitions/types of geeks. My wife and I are both geeks, though in different ways and between us we have lots of other highly geeky things – a kitchen full of tools and equipment (which we actually use regularly), shelves full of serious cookbooks, her room (and many boxes in our garage) full of her sewing and craft supplies and equipment including many machines, specialized tools and parts and pieces. Geeks tend to, in my observation, go overboard about their specific areas of deepest interest and passion – whether cooking, crafting, gaming (paper, board or digital), comics, books etc. But so to I think there may be a superset of things that most (or at least many) geeks will own that perhaps helps define us. Curious if my list above resonates and what glaringly obvious things I’ve missed…. Today I registered for the TechCrunch Disrupt Hackathon here in SF in September and I’ve started thinking about what I want to build. One thought is an application that builds upon what I started my first company, JigZaw (with a Z not the sell other people business cards company) to build – namely a really smart calendar. Instead of being a calendar – or even an online schedule/list of upcoming events (of which there are both lots and frankly nothing very great) this would be focused on a related problem – but with a very different UI and solution. The idea for this application is that individuals could select countdowns and related deadlines to pay attention to / be reminded about in the app from countdowns and deadlines setup by other users (and/or by the company or corporate partners). These could be in LOTS of categories – release dates for movies or books, ticket sales for touring bands, festivals, sporting events, school related dates, sales at favorite stores (online or offline) and much much more. Alongside your view of pending deadlines and active countdowns you might also overlap reoccurring activities/goals/to-do’s (walk 10,000 steps each day etc) but this last feature is one that I think is optional and we might leave out in the first version. Individuals would be able to add and share new countdowns. 2) Show you PEOPLE you might want to meet/connect with due to shared interests. This might start with leveraging the Facebook social graph to show you shared interests across your existing friends (assuming you and your friends are both using this service) but eventually this might also help you discover others with many common interests nearby. This service would likely list a LOT of events from sites such as Meetup which would be a really rich data source. This type of application and web service won’t change the world – nor will it be a billion+ business but I can see how this could be a very nice profitable standalone business OR a rich addition to an existing web business. I also see how to build this affordably and in a way that should scale to quite large numbers. So who is interested in helping me build this – either as developers or investors?